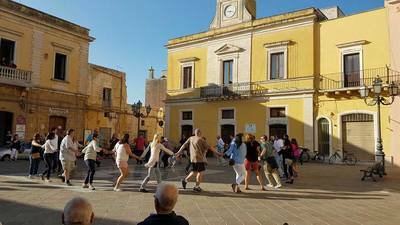 Full immersion in local culture, without the mass tourism! 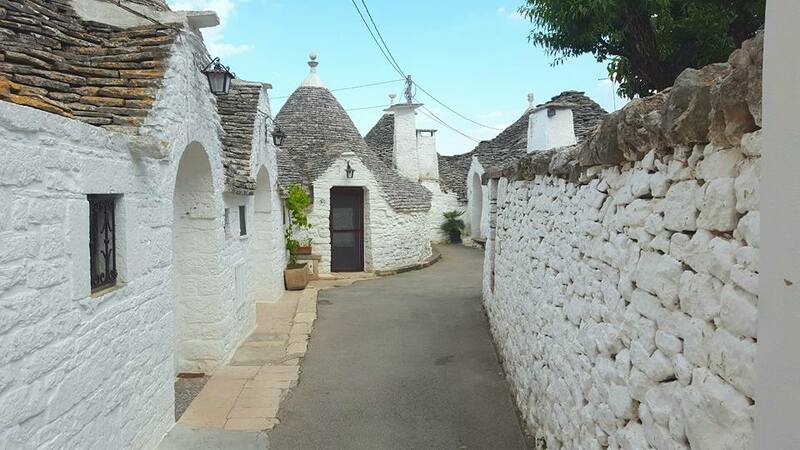 Visit to Alberobello and Ostuni to see the famous cone-shaped homes called "Trulli"
Every meal is included throughout your week-long stay. Ready to head to Italy but mass tourism isn't your idea of fun travel? 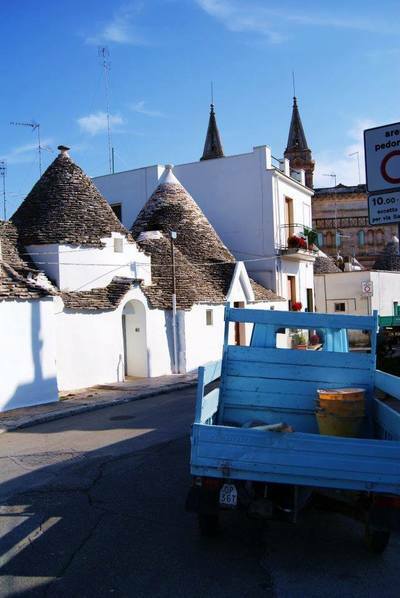 Than benvenuti to Puglia, the country's least exploited region! Come visit before word gets out that this region will surely be the next Tuscany! 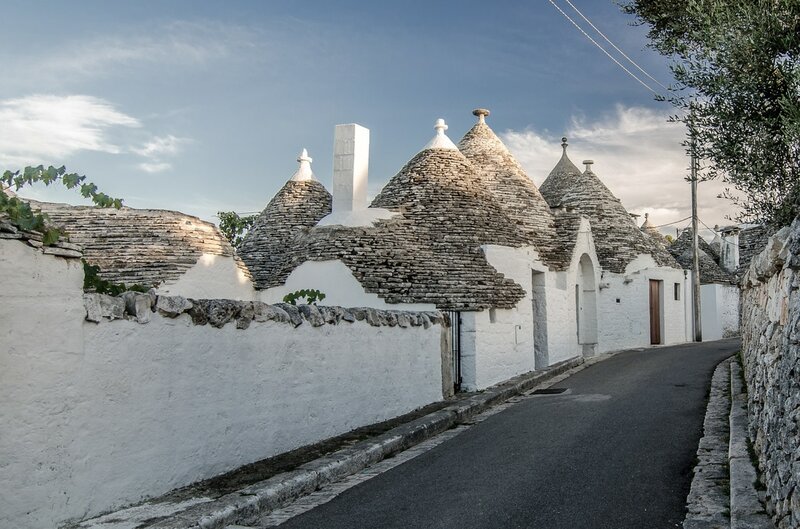 Hundreds of miles of golden beaches with azure water, a breathtaking combination of whitewashed hilltop villages and the Baroque beauty of cities such as Lecce are just some of the highlights of Puglia. 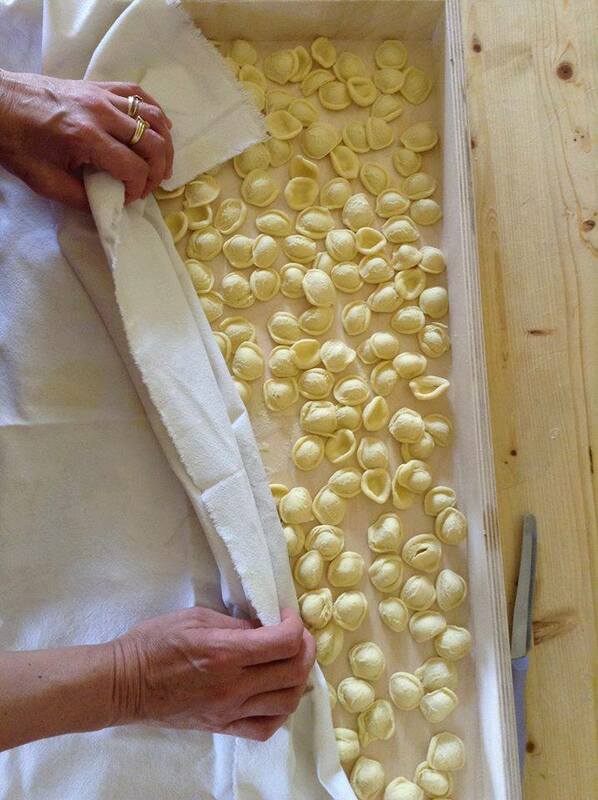 All combined with some of the simplest and tastiest food in Italy. This trip has been designed especially to immerse you in the local culture. 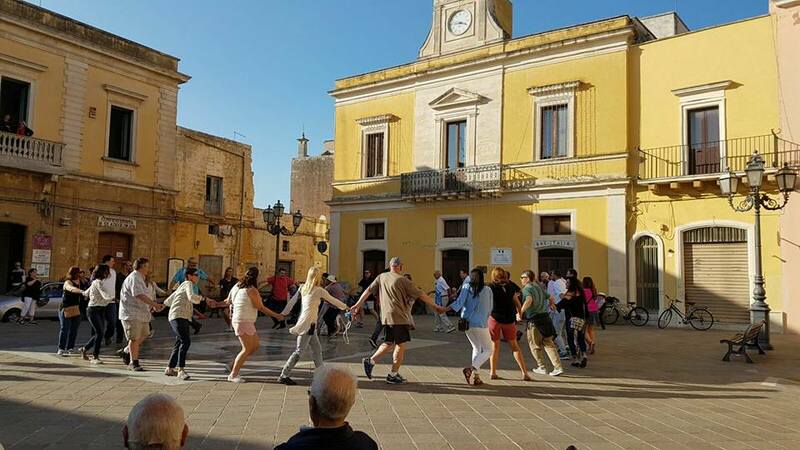 Every day you’ll explore a part of the region and discover its incredible beauty, architecture, sacred sites, characteristic historic towns, locals and of course, plenty of food and wine. 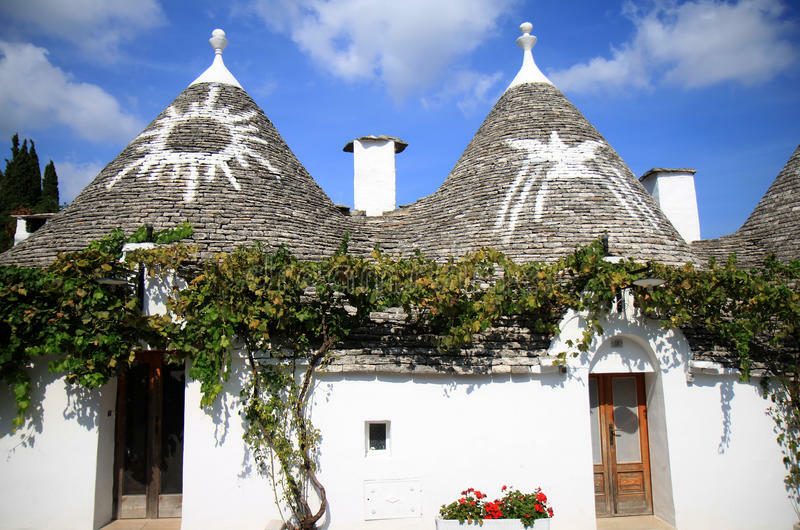 Puglia is the ideal backdrop for a relaxing experience and a rustic-chic holiday to remember. 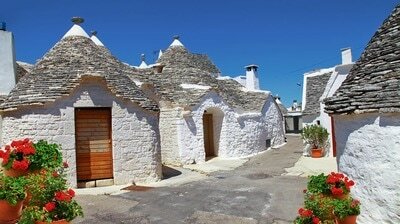 Come discover Puglia’s many small towns and villages, a treasure trove of lifestyle, art, architecture, history, design and culture. 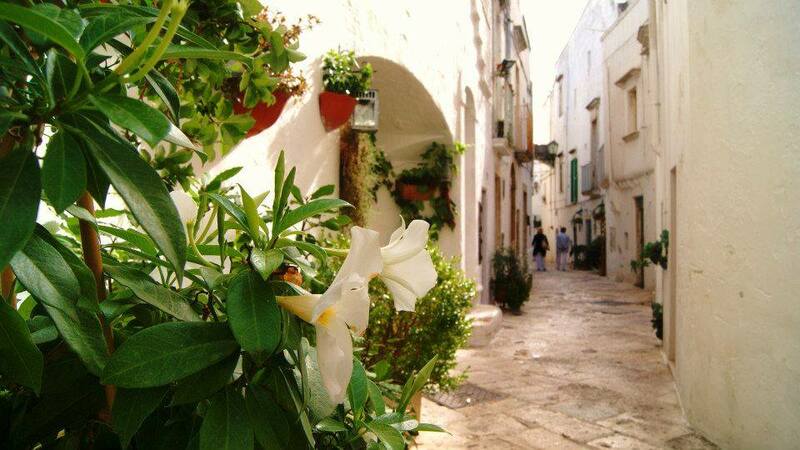 Simply relax and soak in Puglia’s simple, laid back way of life. Enjoy the landscape, the food, and the warm hospitality of the locals. 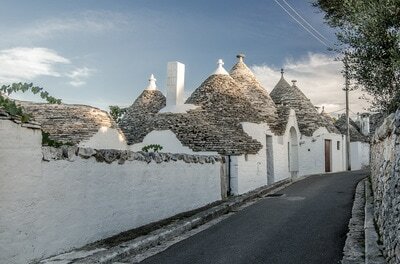 It is that special beauty that makes it clear that you are absolutely nowhere else but Puglia. 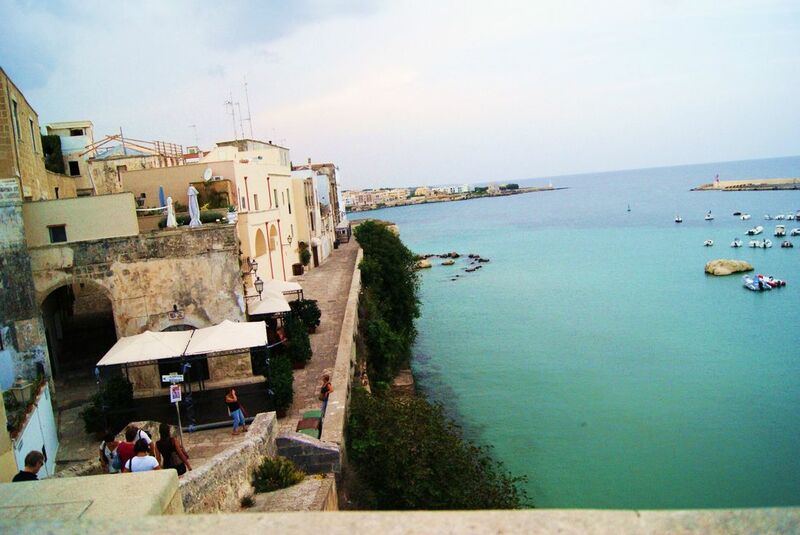 Arrive at the Brindisi airport and be greeted by private transfer to your accommodation in Lecce. Familiarize yourself with your surroundings, refresh and make yourself at home. 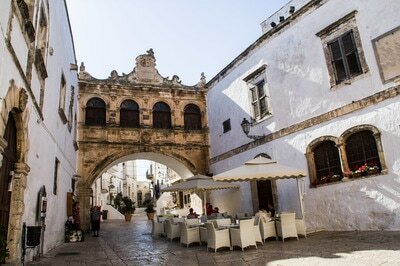 We will enjoy a welcome dinner in the historic town center savoring traditional culinary delights of Puglia and Lecce. Lecce is waiting for you! 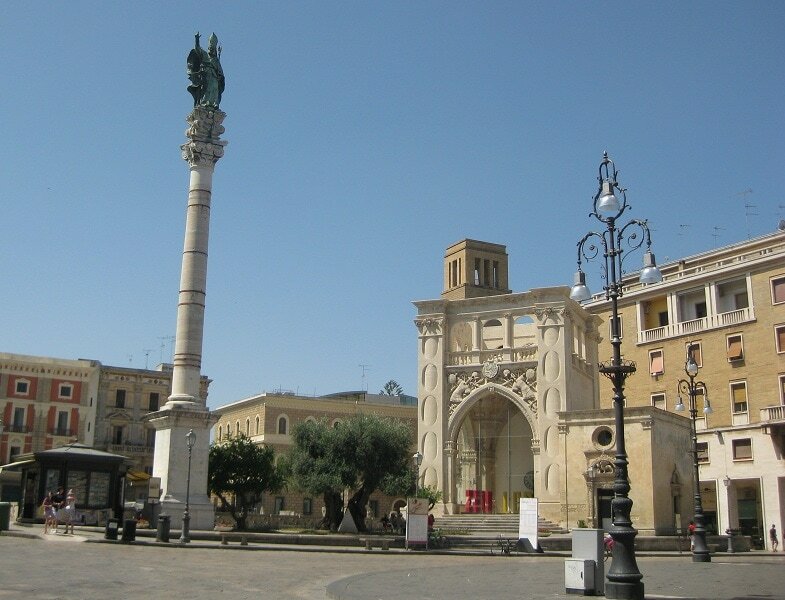 Today we explore the town of Lecce, capital of Baroque art. 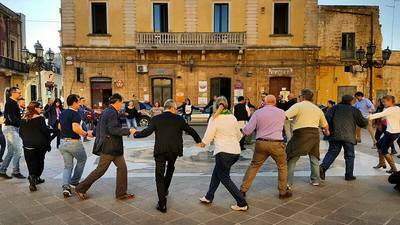 A walk through the magnificent elegance of Lecce will be a great way of discovering the city of Baroque and lifestyle, visiting the most important historic sites such as Piazza Duomo, Piazza Sant’ Oronzo, Roman Amphitheater, la Via dei Palazzi di Lecce, Porta Napoli, and other artisanal studios. 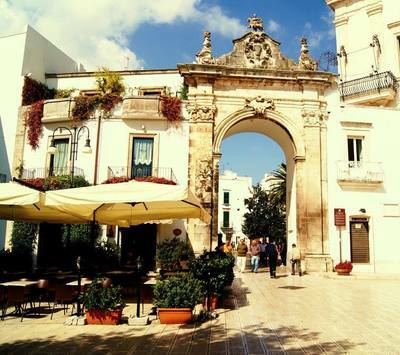 ​An afternoon at leisure in charming Lecce awaits you before enjoying a group dinner in the historic town center. A typical home in Galatina. 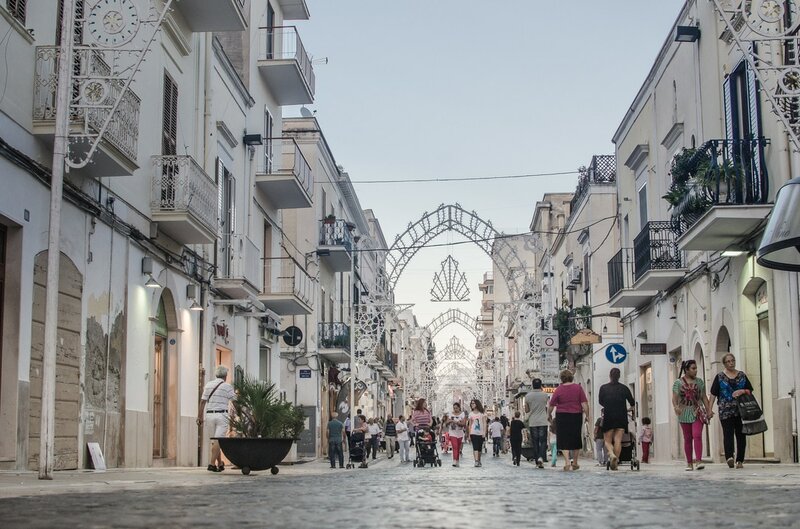 Today, we explore two fascinating towns of the Salento peninsula: Galatina with its elegant flair, and Gallipoli, meaning "beautiful city." Well, it does live up to its name! We start with Galatina, a small and elegant hidden gem and home to the delicious pasticciotto and taranta traditional music. Then we move to Gallipoli, the beautiful city of greek origins with a Mediterranean style, a fishing village on the coast and a very scenic Old Town center, built on an island now connected to the mainland by a bridge. Both quaint and very unique to stroll through their maze of alleys and beautiful streets, this will give us the opportunity to walk off our upcoming "pranzo." Lunch awaits us in the town of fishermen with a stunning seaside view. Return to Lecce after lunch for free time before we head over to enjoy a Pizza dinner in the old town. Grab your apron for our cooking class with the locals! ​Today, we get out the aprons and head to the kitchen for our Pugliese cooking lesson. Our experiential day begins with the visit of a “frantoio,” where olive oil is made and where we learn how to taste the quality real olive oil. 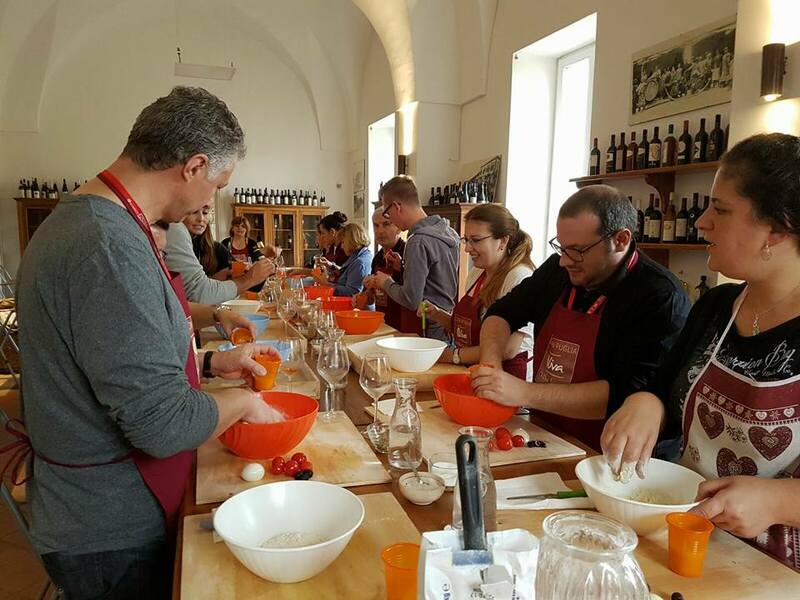 We will later immerse ourselves in the local food culture of “cucina povera” with local moms. Under their guidance, we will prepare a delightful menu and tasting all of your preparations along the way. A delicious lunch is sure to be savored by all. 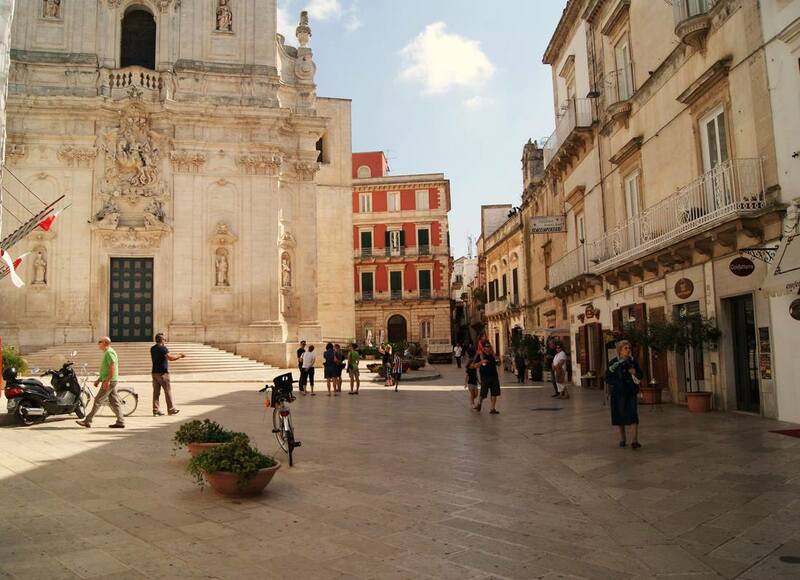 ​We return to Lecce in the mid afternoon to spend the rest of the day at your leisure. 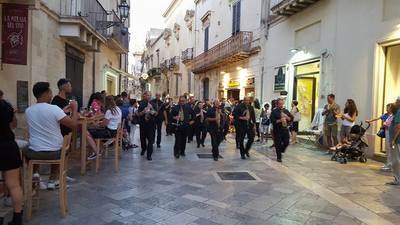 Today we will experience the renowned cheeses of the area and visit Otranto and a Greek Salento Village with their charming old towns. 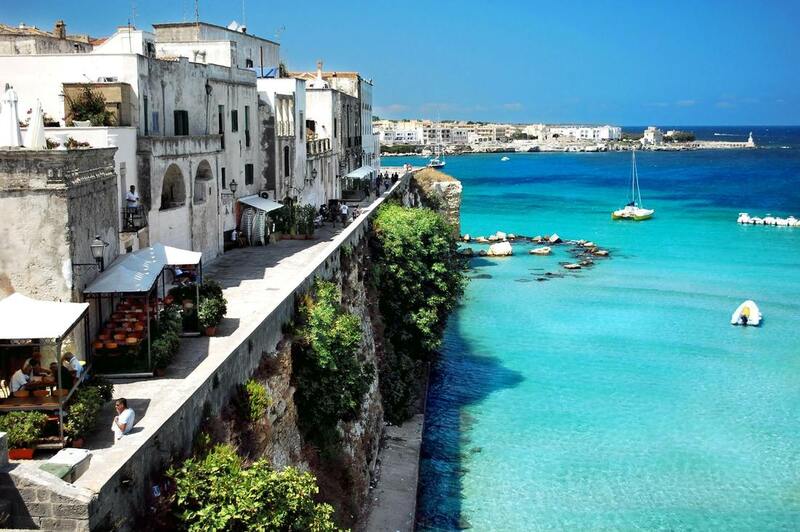 Otranto is a beautiful seaside town that frequently makes its appearance on the covers of guidebooks on Puglia. 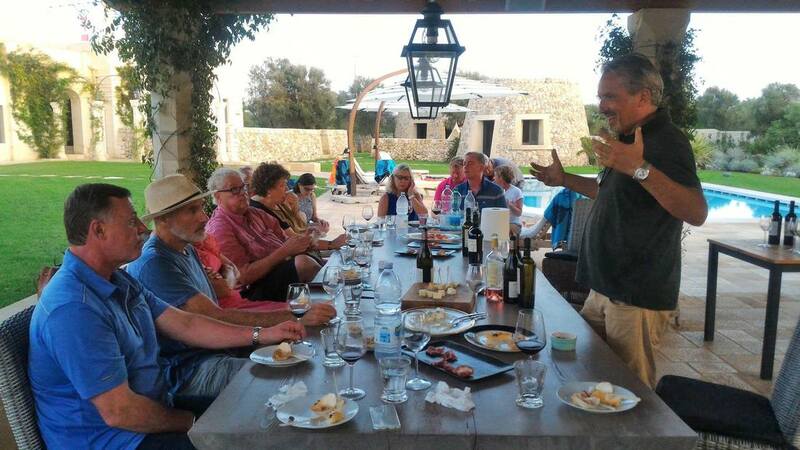 We will enjoy a cheese farm visit and tasting of a selection of top local cheeses and learn about specialties of this area. 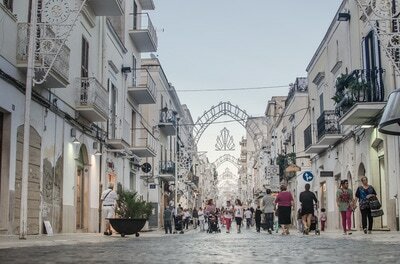 ​An exploration of Otranto and the Greek town of the Salento area called Grecia Salentina awaits us. Return to Lecce mid afternoon for some leisure time before we gather for a group dinner in the historic town. 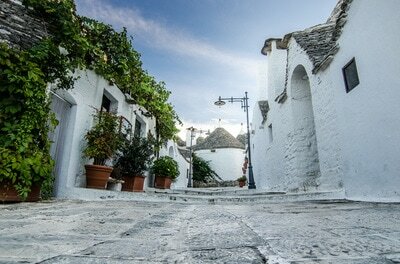 Check in at our Masseria in the countryside. Dinner will be enjoyed at the Masseria. Make sure your camera is charged today as an adventure awaits us! 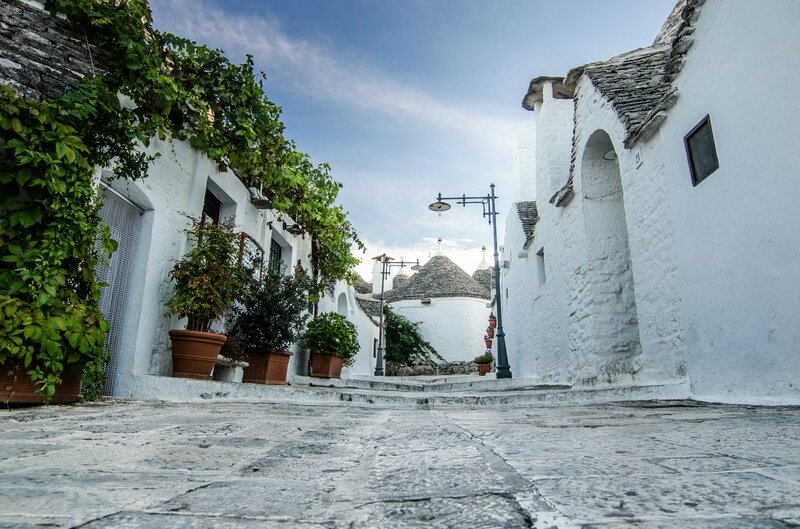 Today we pack our bags as we go towards the fairy-tale like Puglian villages. Nowhere else in the world will you find such unique towns of charming, narrow streets where the inhabitants live in "trulli," small conical-roofed houses and picturesque white washed stones. These are unusual little towns indeed. We will enjoy a photo walk tour of Ostuni, capturing the many details of its all white stones-style houses and enjoy lunch at a traditional trattoria. Later you’ll stop at the memorable towns of Alberobello and Locorotondo for a short photo walk among the many trulli houses. Today you’ll explore two more beautiful Puglia towns: Polignano a Mare and Martina Franca with stops for local specialty food tastings. Arrive in Polignano a Mare for a walking tour in its charming “borgo”. 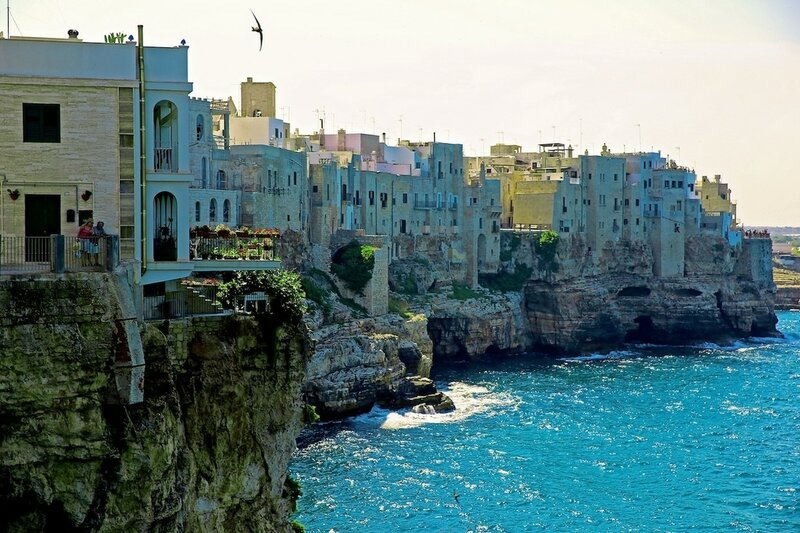 Polignano a Mare is a cozy and charming little town on the Adriatic coast, with beautiful narrow streets, romantic balconies and breathtaking views of the sea. Our guide will take us through a “bella passeggiata” over this little town. 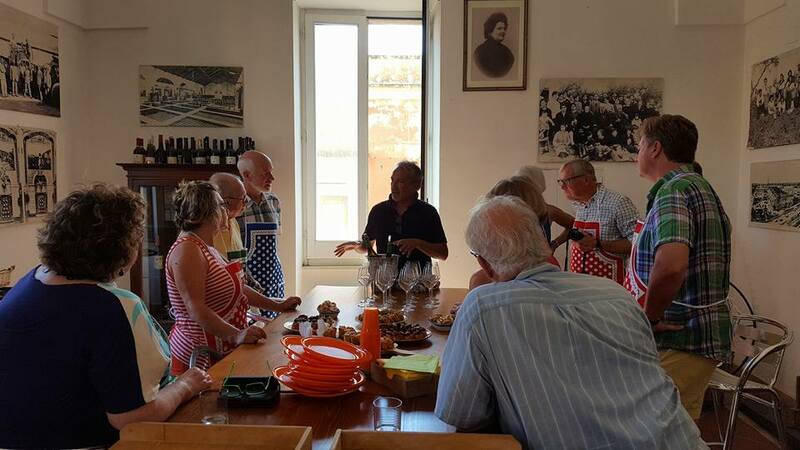 Lunch will be enjoyed in the borgo, savoring some local delights. 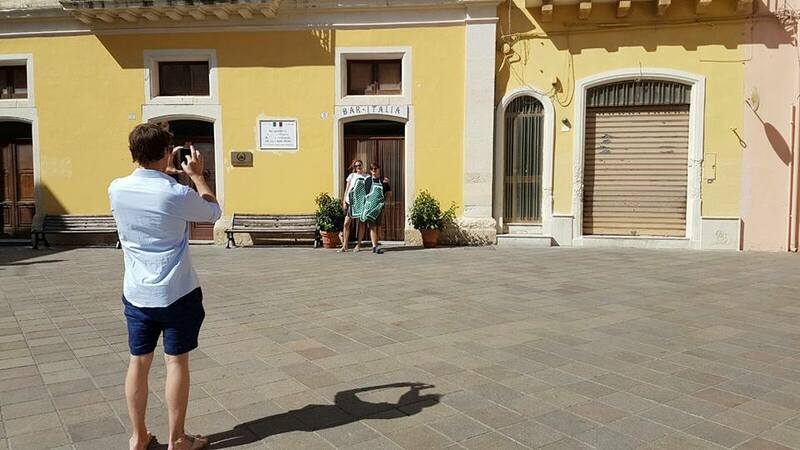 A visit of the Baroque town of Martina Franca is needed after lunch, and with a charming center, it's advised having the cameras at the ready. 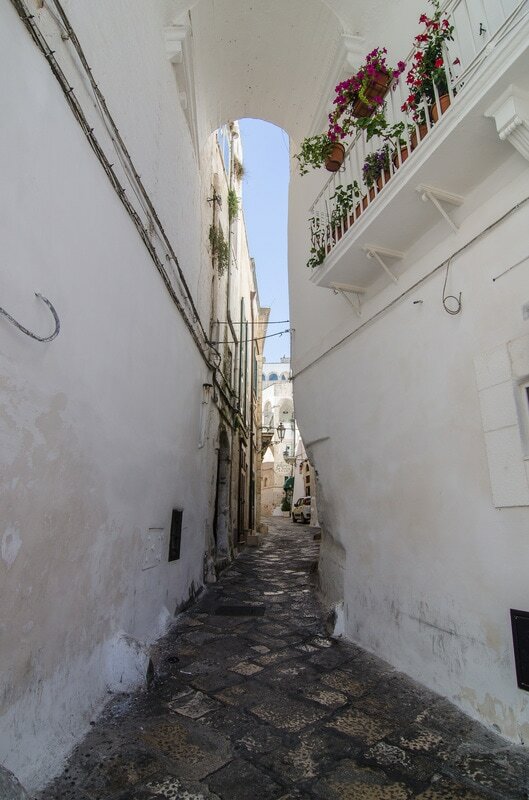 Enjoy some time wandering the lanes and alleys to see the ornate balconies and archways decorated with fancy baroque windows. Return to the Masseria in the afternoon for some free time. Dinner at the Masseria. 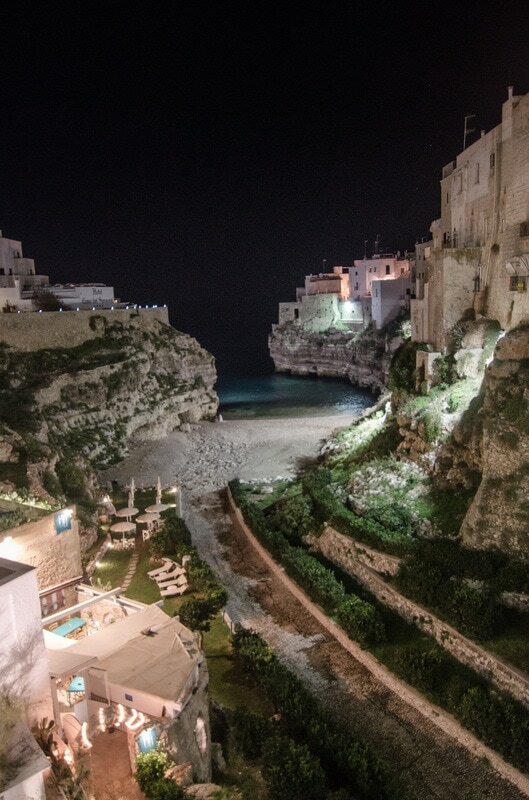 Our time in Puglia is sadly coming to an end. After breakfast, you will be transferred to Bari or Brindisi airport. Personal purchases of any sort. ​Tips / gratuities for drivers, guides & waitstaff. Hotel incidentals such as phone calls, mini bars and other amenities. Travel Insurance: Travel insurance is HIGHLY recommended in order to protect your investment. This is to ensure that you are covered in the event of loss due to cancellation by traveler or host, medical emergency, flight cancellation, lost luggage or other like event. Anything not listed in the inclusions above​. Above price is for check payment only. Bank or credit card check payment is accepted. A 3% processing fee will be added for Credit Card or PayPal payments. $1,000 Deposit is required and it will be applied towards overall cost of tour. Contact Francesca at francesca@thelazyitalian.com for booking/reservation and further details. If you would like to reserve a spot for this tour, or have any questions, please use the contact form below and we will send you the necessary booking instructions or additional information. A deposit of $1,000 per person plus signed travel agreement is required to secure your spot. ​Contact us below to ask about our upcoming trip to Puglia!